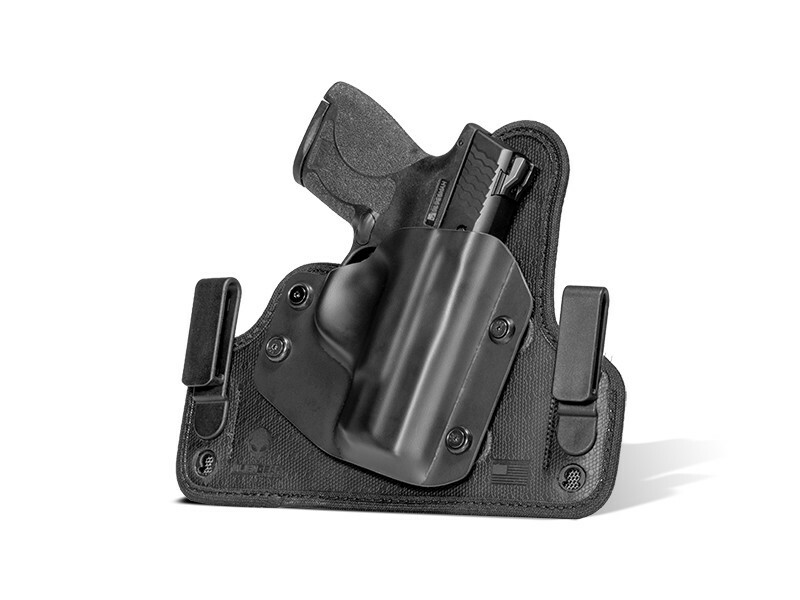 when I first ordered this holster I was planning to carry a PT111 but after getting the holster I sold the PT111 and got a Glock 26. Never used the holster. I called customer service to ask how to do this and they explained the whole process. In a short period of time I had my new shell. Received my Glock today and put on my holster. Being an incredibly skinny man; 30 inch waist 150 lbs. I had a hard time deciding on a good holster for my glock 26. I finally got a cloak tuck 3.0 and have had it around 2-3 months now. Since I am mostly bone I really have to get the gun to press against my back so it won't print. The Cloak tuck 3.0 does this exceptionally in most clothes. However, the front clip has a tendency to bind up or move around because of the way it fits my waist. 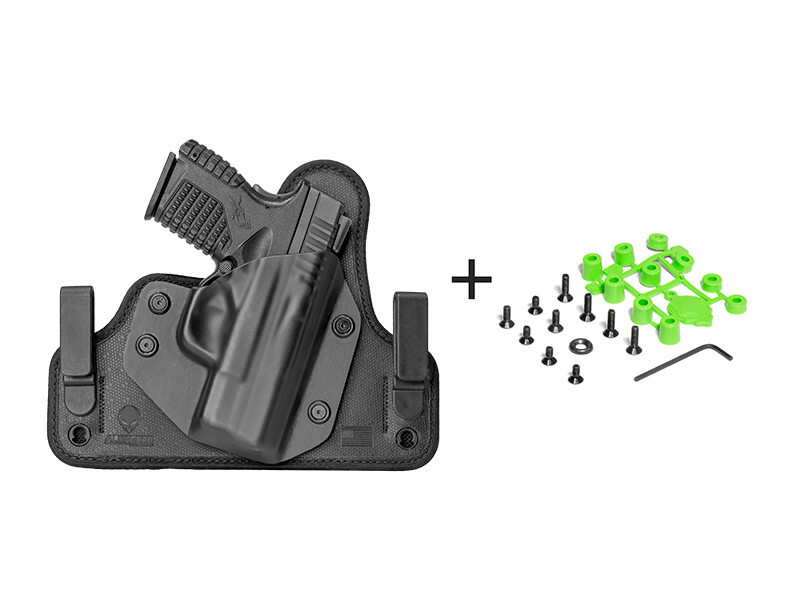 When it does this it doubles or even triples the retention of the holster. This means sometimes i have to really pull or it doesn't even draw. I haven't tried the largest spacers yet as the retention is perfect unless the holster settles with that front clip pushing backwards. I am almost positive this would be a non issue for size 34 and above. Last little bit is that sometimes its hard to find the holster because there is absolutely no flare on the kydex. 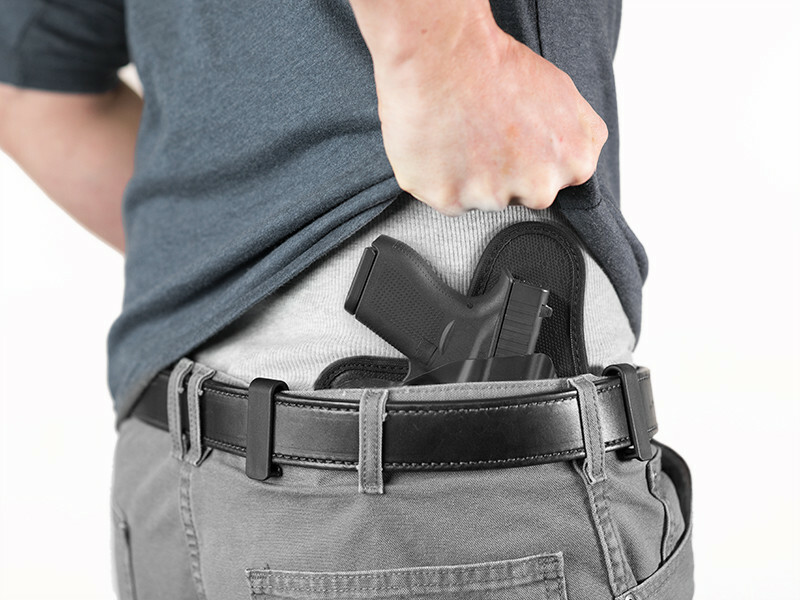 When wearing the holster sometimes it pushes against you and your pants cover the opening. Just a minor bevel inside, or bead around the edge would assist in holstering. 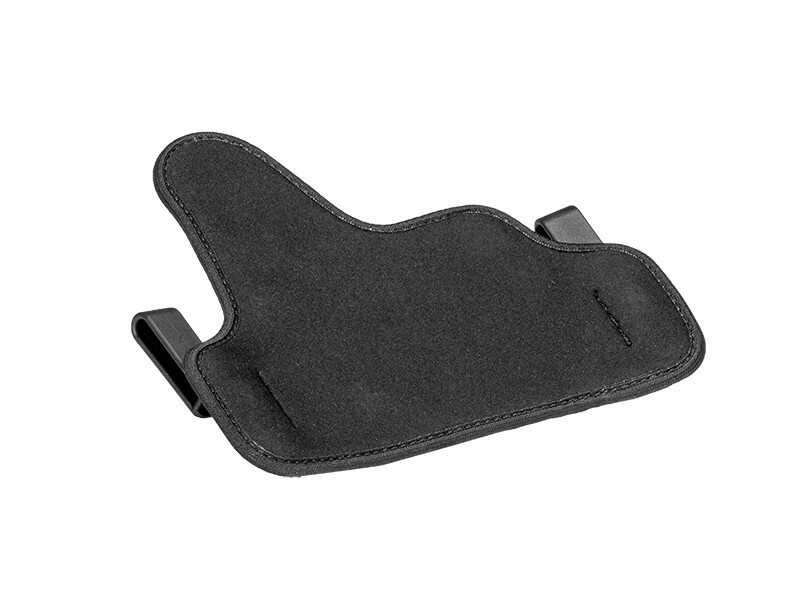 The trick is to aim for the flap of neoprene that sticks out above the holster. It usually will guide the gun in and push away your pants. That doesn't always cut it though. As an Army Special Forces Soldier, firearms are a way of life. 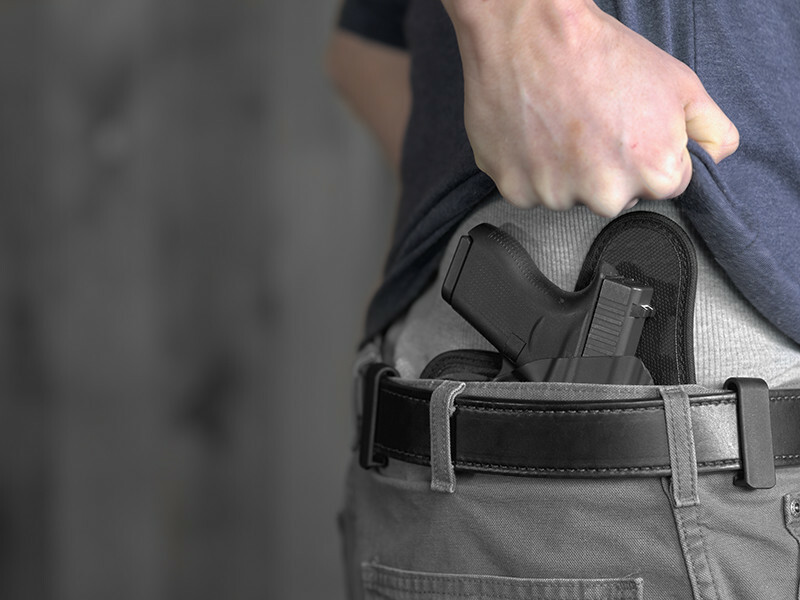 Off duty I always carry my Glock 26 Gen 4. This is one of the most comfortable IWB holsters I have ever worn, even while driving my truck, which says a lot about a holster. Plus its made in the USA. Great company. I will probably be acquiring a second Tuck 3.0 for my Kimber 1911. Thanks for the great product. 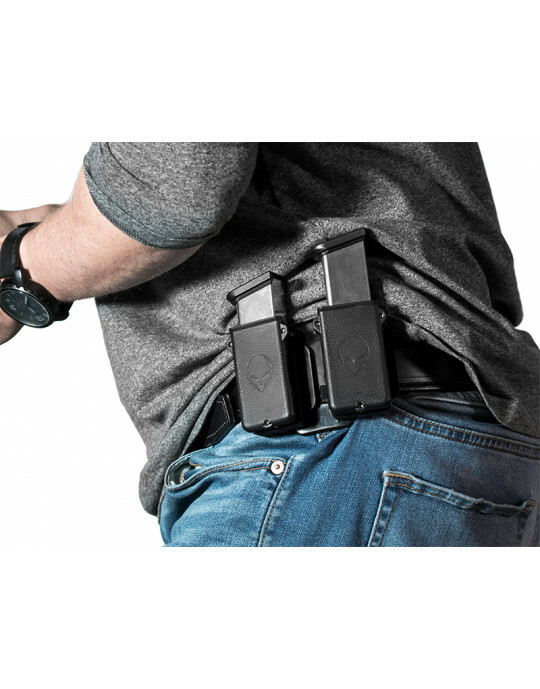 I recommend this holster to all.